Neo4j is a java application and requires OracleJDK 7 or OpenJDK 7 to be on your system. Download the Community Edition of Neo4j. In my case I grabbed the Unix .tar.gz file and unzipped the files. Install on Windows may vary. Use web console at: http://localhost:7474 – the top line of the page is a window for entering Cypher commands. Load sample CSV data using a Cypher command – I cover this in a separate post here. Be sure the path to the file is the same on your system, matching where you saved the CSV files to. Graph Density requires total number of nodes and total number of relationships/edges. We do them both separately, then pull them together at the end. Therefore, a maximum number of edges between all people would be 21² (we’ll use only 21×20 as a person might not link to themselves in this example). Here we only select subjects that are “Person” and only where they have a relationship called “HAS_FRIEND”. When we defined the data from CSV, we set up a relationship that I thought would be just one-way. But you can see, if you don’t provide the DISTINCT keyword, that you’ll get double the record counts, so I’m assuming it’s treating the relationships as bi-directional. We can do all this in a single query and get some nice readable results, even though the query looks a bit long. Note that I snuck in an extra “-1” to account for that stray record I didn’t account for. Challenge: Why did I get different results than in the SPARQL query example? In the earlier post I had only 20 nodes, but in this one got 21. Can you explain why? What’s your favourite graph analytic? Let me know and I’ll try it out in the future post. 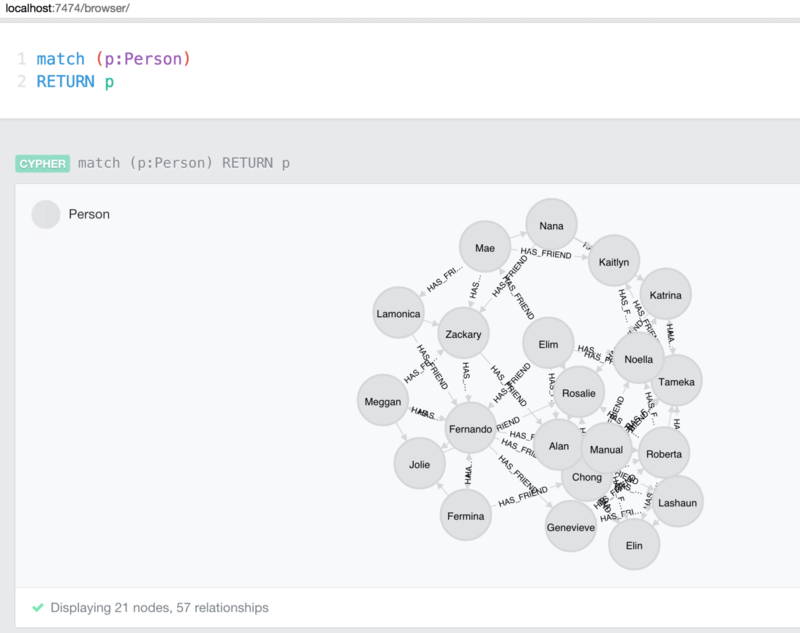 One of things I have planned is to do some further comparisons between graph analytics in SPARQLverse and other product like Neo4j but with large amounts of data instead of these tiny examples. What different results would you expect?